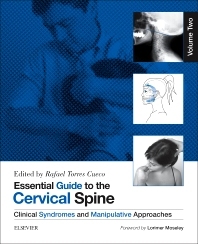 Volume Two: Clinical Syndromes and Manipulative Approaches comprehensively addresses the diagnosis and treatment of the various and complex syndromes that occur in the cervical spine, from discogenic syndromes to cervical myelopathy and the physical and psychological factors involved in whiplash. A particularly important chapter is devoted to the identification of risk factors in manual treatment of the cervical spine. The last chapter deals with new contributions in the neurobiology of pain and considers chronic neck pain from a biopsychosocial perspective. The international collaboration of leading experts in the field of research and an extensive clinical practice and literature review make this a must-read book for anyone concerned with the prevention and treatment of neck pain. An indispensable guide for those practitioners who want to establish guidelines for the safe and effective treatment of the cervical spine and their patients.